Agia Pelagia is a seaside fishing village built in the centre of a picturesque amphitheatric bay, it is located on the north coast of Crete at 23 km northwest from Heraklion (Herakleion), capital city of the Island of Crete and distants 25 km from the international airport of Heraklion and 23 from the ferry port. In the village you can find many taverns, offering traditional but also international dishes, bars, cafes, shops and boutiques, which will invite you to exciting short walks through the little streets. 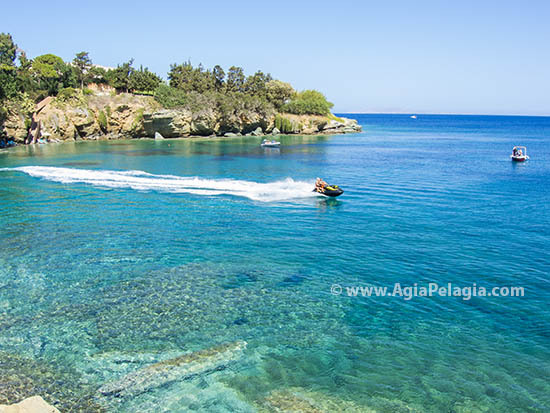 Surrounded by mountains and hills, Agia Pelagia lies right in the middle of Crete (which makes it easy to be used as a base for tours and excursions around Crete island), with about 9 smaller sandy and rocky beaches (except of the central bay) reached easily by feet for those who prefer more space and privacy rather than big / busier beaches. 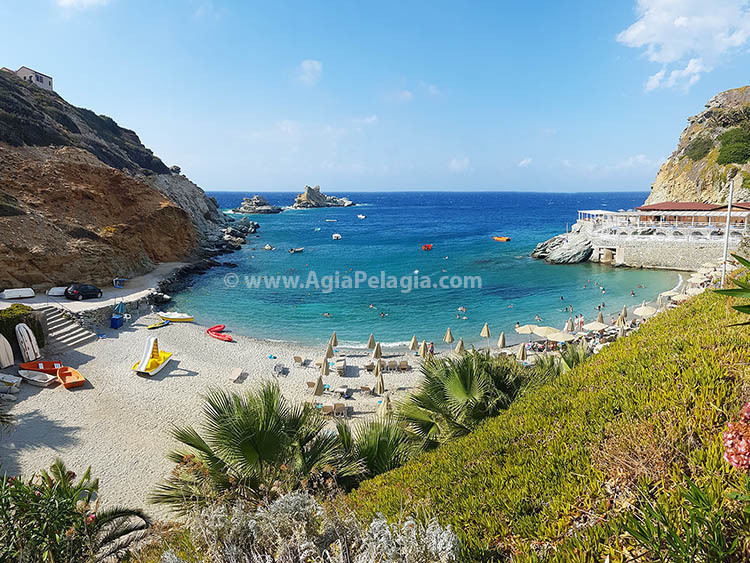 The main areas are: Agia Pelagia bay (main beach - and the busiest), Lygaria Bay, Mononaftis bay, Kladissos bay, Made beach, Psaromoura beach, Fylakes beach, Ammoudi. Though there are several (little, almost hidden) beaches in the area (many of which can be reached only by feet or by boat). 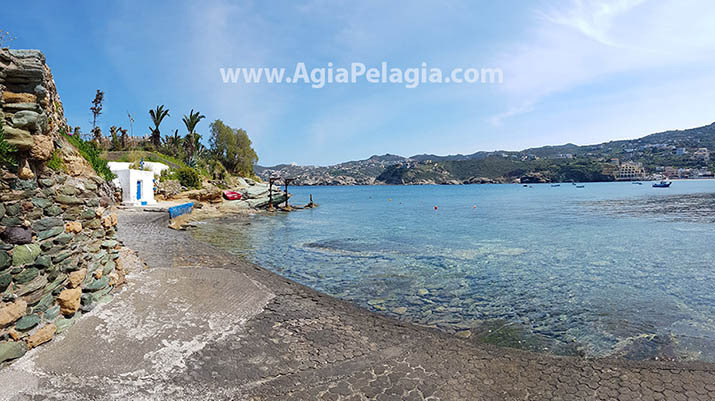 Near Agia Pelagia you will find several interesting places to visit, like the Minoan Palace of Knossos, the Archaeological Museum of Heraklion, the traditional villages of Achlada, Fodele, Rogdia and Anogia up to the highest mountain of Crete Idi (also called "Ida" or "Psiloritis" - 2.456m high).